We’ve all heard that images are important to add life to our content and spice up otherwise boring and bland content. What we haven’t discussed nearly enough, is how important optimizing images is for your overall SEO. We spend so much time on text and behind the scenes optimization that many of us forget our images. In this article we look at business blog ideas based on seasonal topics and how to use them in a more interesting way. Although there are nearly 250 articles and tutorials about business blogging here on HTWB, we thought you’d like a reminder of the 10 posts readers find the most helpful of all… Blogging for business goes in and out of fashion today, particularly as new platforms, apps and other means of communicating proliferate on the internet, diverting our attention away from the humble blog post. But not for long. It’s interesting how, despite the periodic flutter away from it, blogging for business continues to provide us with a solid, reliable means of communicating with our readers and customers. 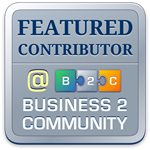 To find all 243 articles on blogging for business here on HTWB, click here. In our mad rush of information of today, do we really have time to absorb it from a video or audio program – when text is absorbed a lot faster? Do you ever get stuck for ideas when you have to write a blog for your business? In true #blogversational spirit, several of the main social media platforms now allow you to post blogs directly on there and bypass your own site altogether. So how do you benefit from this #blogversational but all the same rather nebulous option?